if you've watched episode 2 of my podcast* you'll know about the craft swap Christina of Garnharmoni initiated. She proposed to knit me a (most lovely) hat with sheep and an alpaca and I could crochet her anything in return. I'll show you some pictures as soon as I've got the hat, but you might have a look at Christina's facebook or Instagram account to get a glimpse of the hat. Luckily Christina mentioned she likes sunflowers. 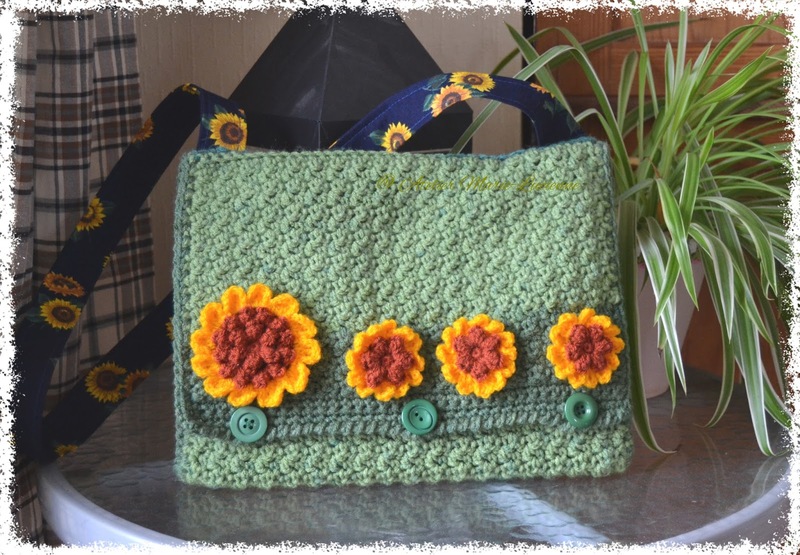 Early autumn 2016 I had posted a free pattern of small sunflowers in my blog.